Learn from industry leaders at the cutting edge of the digital economy sector on this innovative Master’s degree. Informed by our academics’ unrivalled research strengths in the field, it will prepare you to start your own digital business or implement digitally enabled innovative practices within existing organisations. New technologies have changed the way we do business, with digital platforms such as Uber and Airbnb becoming household names. This cutting-edge MSc will equip you for a career in the fast-growing digital and sharing economy sector. 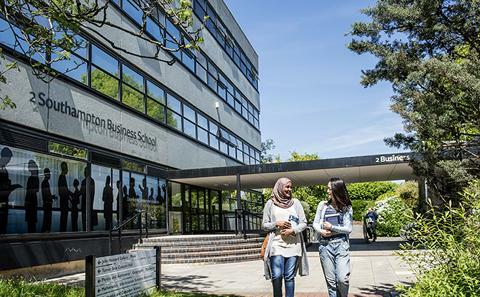 It draws on Southampton’s world-leading expertise in business studies and web science. Through modules from these disciplines you’ll gain the theoretical knowledge and practical skills you will need to launch your own digital business, work in a dynamic start-up environment or apply new digital business models within an established organisation. In addition, you’ll have an unrivalled opportunity to engage with the latest digital business trends and developments through talks and masterclasses, delivered by business leaders. There has been a huge growth in the use of digital economy business models, with companies such Uber, Airbnb, BlaBlaCar and Freelancer.com flourishing in recent years. Whether your aim is to launch your own digital start-up or help established businesses take advantage of new technological platforms, the MSc in Digital Business will provide you with the latest insights into this expanding and rapidly changing sector. No technical expertise is required to join the course – we welcome applicants from a range of academic and professional backgrounds. This one-year, full-time course takes an interdisciplinary approach, drawing together taught modules from Business and Web Science. Later in the course you’ll also do a dissertation. The compulsory modules will give you grounding in new digital businesses creation, growth and strategic organisation. They include the exciting Digital Entrepreneurship modules, which include talks and masterclasses given by the founders and leaders of successful digital businesses and start-ups, keeping you up to date with the latest concepts and business models. This module is especially useful for those wishing to launch a start-up or work for an emerging digital business. You'll learn how to learn a digital business, and also how digital business models and platforms can be integrated into established organisations, helping them to take advantage of the possibilities offered by new technologies. The Web Architecture and Web Applications modules include hands-on experience of Web application design and basic programming skills. A module on Interdisciplinary Thinking will encourage you to think in unconventional ways about digital and Web issues by considering them from the perspective of different disciplines. Past students have explored topics such as the potential use of internet memes for social benefit and barriers to the adoption of the semantic Web across different industries. In the second semester you’ll choose from a range of optional modules. These will enable you to enhance your business knowledge and/or specialise further in Web science by exploring topics such as open data innovation or semantic web technologies. With guidance from our experienced academic team, you’ll have the freedom to choose a dissertation topic that will help you to achieve your career goals. For example, you could use your project to progress your own digital enterprise business idea. A critical mass of digital and sharing economy expertise within Southampton Business School means that our research output in this field is unmatched in most other UK universities. For example, programme leader Dr Vadim Grinevich specialises in the digital platform economy and has led projects on upscaling in the sharing economy and business-to-business sharing economy models. His studies enable him to bring emerging concepts and real-world examples to his teaching. You’ll also benefit from the University’s world-leading strengths in computer and Web science. This degree offers a high level of engagement with industry thanks to academics’ connections with digital entrepreneurs and businesses. For example, links with digital platform economy business initiatives, such as UKShareCo and ShareNL in the Netherlands, enable us to run joint projects with the digital economy sector and tap into a network of practitioners who contribute to the programme. Exposure to leading practitioners will also offer you the opportunity to find out more about possible careers and develop your professional networks. Combines specialist knowledge in Business with the University’s world-class expertise in Web science. Innovative modules include masterclasses with leading digital business leaders. Covers the latest digital business developments, including the sharing economy and peer-to-peer marketplace. Designed to develop essential professional skills and cross-disciplinary skills, including proposal writing, pitching and programming. 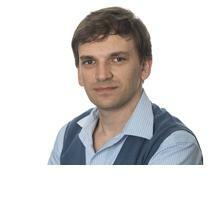 Dr Vadim Grinevich is Associate Professor of Strategy and Innovation, and Faculty of Social Sciences Director of the Graduate School at the University of Southampton. 2.1 Degree No specific subject requirements. The University’s Admissions Policy applies equally to all programmes of study. The following are the typical entry criteria to be used for selecting candidates for admission. The University’s approved equivalencies for the requirements listed below will also be acceptable. The entry criteria for our programmes are reviewed annually by the Faculty. The selection of compulsory and optional modules are listed below. Other Approved Calculators Candidates may use calculators in the examination room only as specified by the University and as permitted by the rubric of individual examination papers. The University approved models are Casio FX-570 and Casio FX-85GT Plus. These may be purchased from any source and no longer need to carry the University logo. Other Textbooks Where a module specifies core texts these should generally be available on the reserve list in the library. However due to demand, students may prefer to buy their own copies. These can be purchased from any source. Some modules suggest reading texts as optional background reading. The library may hold copies of such texts, or alternatively you may wish to purchase your own copies. Although not essential reading, you may benefit from the additional reading materials for the module. Other Computer Discs Software Licenses Hardware Students are free to use computer lab facilities on Campus; Outside campus students are expected to use their own PCs, laptops, etc; The university provides free access to licenced software packages. Fieldwork Optional Visits Some modules may include optional visits. You will normally be expected to cover the cost of travel and admission, unless otherwise specified in the module profile. You’ll graduate with up-to-the-minute knowledge of digital business models as well as key transferable skills that are in demand across a range of sectors. You’ll be equipped to launch your own digital start-up or work in a dynamic digital business environment. You could also choose to add value within an established corporate, public sector or not-for-profit organisation. Other possible next steps include working for a digital consultancy, joining an industry research team or continuing your studies at PhD level. Our academics use a range of interactive teaching and learning methods. You’ll learn through lectures, masterclasses, group work, presentations and computer lab sessions, as well as written work and individual study. To develop your professional skills as well as your subject knowledge, the modules include team exercises and practical assignments such as writing business proposals and pitching. Assessment methods include written work, group assignments, computer-based exercises and exams. You’ll have access to opportunities for career development and support within the Business School and in the wider University. You could apply for a place on the University’s Business Innovation Programme, which offers the chance to work with a local company or charity on a real digital business issue, supported by a mentor from IBM. If your aim is to set up your own digital enterprise, you can access advice and support through the Small Business Clinic. The Clinic is run by staff and students from the schools of business and law, including programme leader Dr Vadim Grinevich, and is supported by a local accountancy firm. It offers free initial advice, for example on legal, tax and compliance matters. We want you to thrive academically and enjoy your student experience. There is plenty of support on offer should you need it, including Business School and University-wide services. You’ll learn in an informal and friendly environment and your personal academic tutor will be available to help with any course-related queries you may have.